Golden State Baptist College has a t-shirt contest every other year. A lot of the students get involved in creating many different t-shirt designs. I was responsible for designing the website and converting it into WordPress. 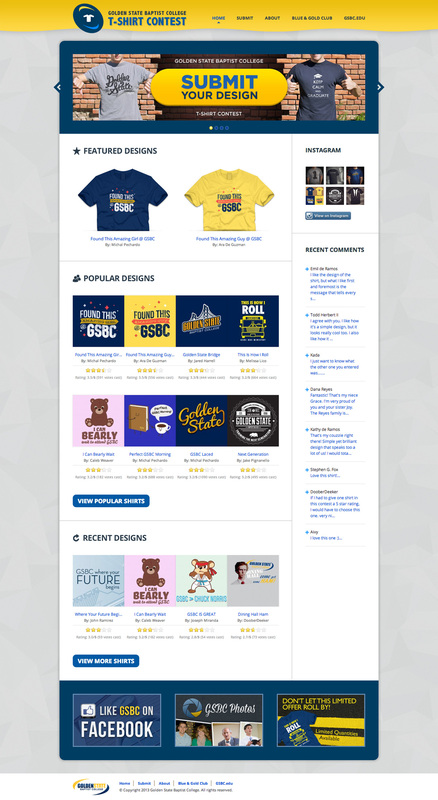 I also installed a voting system as well as WooCommerce, to be able to sell the shirts online.